Ramnavami, or the birthday of Lord Rama, falls on the 9th day of the bright fortnight of the month of Chaitra (March-April). Ramnavami is one of the most important festivals of the Hindus, particularly the Vaishnava sect. On this auspicious day, devotees repeat the name of Rama with every breath and vow to lead a righteous life. People pray to attain the final beatitude of life through intense devotion towards Rama, and they invoke his name to grant them blessings and protection. Many observe a strict fast on this day, but otherwise, it is an extremely colorful ceremony, highly inspiring and instructive, too. Temples are decorated and the image of Lord Rama is richly adorned. The holy 'Ramayana' is read in the temples. In Ayodhya, the birthplace of Sri Rama, a big fair is held on this day. In the south of India, the "Sri Ramnavami Utsavam" is celebrated for nine days with great fervor and devotion. In temples and at pious gatherings, the learned narrate the thrilling episodes of the 'Ramayana'. The Kirtanists chant the holy name of Rama and celebrate the wedding of Rama with Sita on this day. 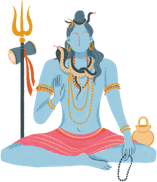 The sacred Mantras "Om Sri Ramaya Namah" or "Om Sri Ram Jai Ram Jai Jai Ram" are chanted. "Formerly, Sri Rama went to the forests, where sages did penance and killed the illusive deer. Sita was carried away and Jatayu was killed. Rama met Sugriva, killed Vali and crossed the ocean. The city of Lanka was burnt by Hanuman. The demons, Ravana and Kumbhakarna, were then killed. Thus is recited the holy Ramayana." Devotees greet one another with "Sri Ram" or "Jai Ram-ji-ki". Those who have adopted Lord Rama as their favorite deity observe a fast, taking only milk and fruit for all the nine days. Some fast only on the Ramnavami day itself. On the final day of Ramnavami, a grand worship of Lord Rama is organized in the gorgeously decorated temple. 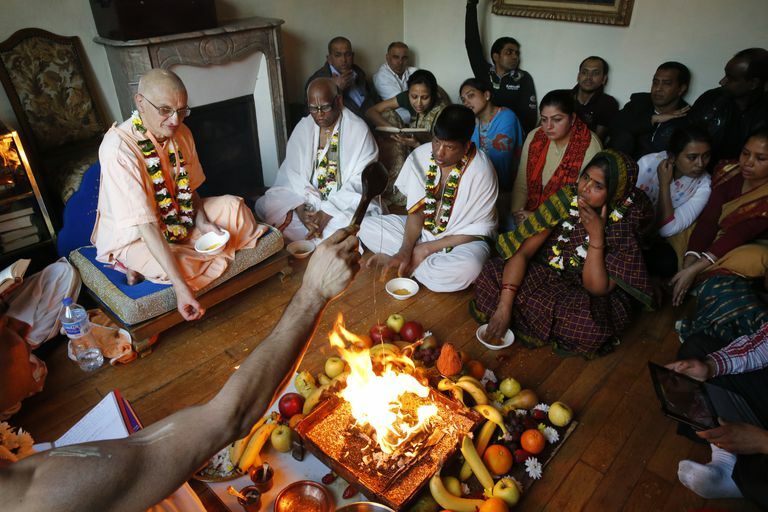 All the ​Vedic rituals including Laksharchana are performed. A havan, or sacred fire ceremony, is also performed. From four in the morning to late at night, there devotional music and chants of Rama are played. Leaflets, booklets, and books relating to Lord Rama are distributed. Special meetings are held in the evening, at which discourses on the life and teachings of the Lord are delivered. This article is based on the writings of Swami Sri Sivananda. What's Wrong With Wendy Doniger’s Book ‘The Hindus’?